Eyelashes are one of the most of important parts of our body. Their primary function is to protect the eyes from small particles, like debris, sand, dust, and moisture, as well as prevent any irritation or infection. But for other people, especially for women, eyelashes function as a biggest way to improve their beauty and femininity. This is the very reason why many women desire to have long, thick lashes, and even use various tools and makeup to get these features. But keep in mind that eyelashes are hair, similar to the hair found on other parts of your body. Just like the scalp hair, eyelashes grow, eventually fall out, and regrow again. Why do eyelashes fall out? Do eyelashes grow back? Do eyelashes grow back if you pull them out? How long does it take for eyelashes to grow back after plucking? Will eyelashes grow back if pulled out from the root? Do eyelashes grow back if cut? Do eyelashes grow back if burnt? Do eyelashes grow back after lash extensions? 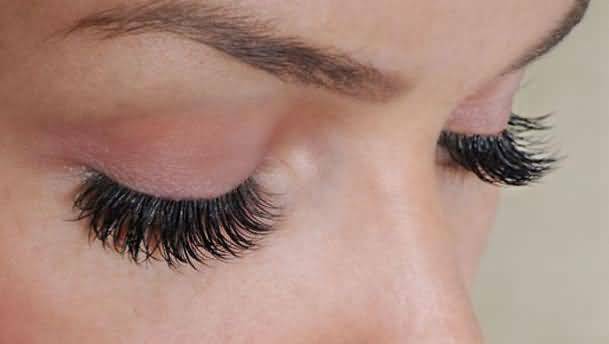 How to speed up eyelashes growth and stop eyelash loss? Losing eyelashes occasionally is considered normal and usually not cause for concern as your hair renews continually. But if your eyelashes fall out more often than you think is normal, then it’s time to see a medical professional. There are many reasons why eyelashes fall out. While some are not something to be concerned about, some can be serious and require an immediate attention. One common cause of eyelash loss is alopecia areata. It’s an autoimmune disease that causes hair loss on various parts of the body. It develops when immunity cells attack the hair follicles, causing the hair to eventually fall out. It can affect all of your body hair, including your eyebrows, eyelashes, scalp hair, and beard. There is currently no known cure for this disease, but it can be treated with topical solutions. Another common cause of eyelash loss is having thyroid problems. Both hyperthyroidism and hypothyroidism affect hair follicles, which eventually causes eyelashes to fall out. Blepharitis, a medical condition that affects the eyelids, can also lead to eyelash loss. When your eyelid is inflamed, it becomes itchy and red. This causes lash loss as the inflammation damages the hair follicles. In some cases, lash loss can be due to the constant rubbing and scratching in response to the itchy feelings brought on by this condition. 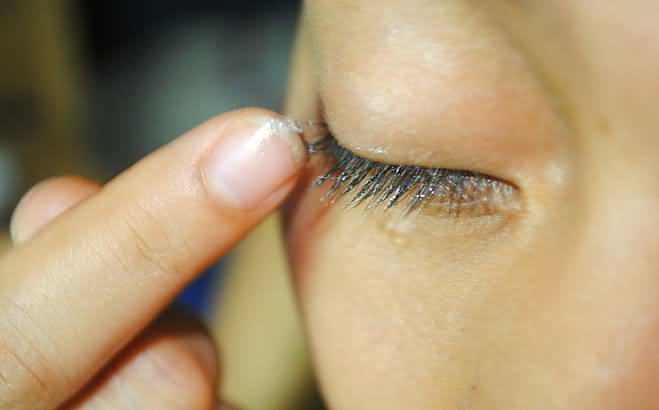 Skin problems, such as eczema and psoriasis, can also cause eyelash loss as they bring itchy sensations that make people rub their eyes constantly. Stress, hormonal imbalances, and nutritional deficiencies can also cause eyelash loss. Other causes may also include aging, results of medications or chemotherapy, psychological conditions like trichotillomania, and allergies to mascara and other beauty products. If the cause of your eyelash loss is due to a medical condition, you should seek medical help immediately to assess your condition and treat the underlying cause. Yes. Every hair on your body, including your eyelash, follows a specific growth cycle that includes three phases: the anagen, catagen, and telogen phases. Anagen phase is the growth phase. This is when your eyelashes are actively growing, lasting for about 30-45 days. In the catagen phase, the hair growth stops and the hair follicle shrinks. If your eyelashes fall out during this phase, it won’t grow back right away. The telogen phase is the resting phase, which means your hair follicle becomes completely inactive. During this stage, hair begins to fall, and it usually takes more than 100 days to fully replace the lost lashes. But what about eyelashes that are pulled out? Or what about if cut or burnt? Will they grow back again? Do your eyelashes also grow back after lash extensions? Find the answers below. Do eyelashes grow back if you pull them out? The answer is yes. Just like the eyelashes that are lost during the normal cycle, eyelashes that are plucked or pulled out do grow back. And as long as the hair follicle has not been seriously damaged or destroyed, your eyelashes will continue to grow. However, keep in mind that constant pulling of eyelashes can lead to the damage of the follicle, which in turn could prevent further hair growth. So if you’re suffering from trichotillomania, an impulse-control disorder, that involves irresistible urges to pull hair on the head and other parts of the body, you should seek professional help. Your doctor can come up with the best treatment plan for your condition. How long does it take for eyelashes to grow back after plucking? Eyelashes that have been pulled out usually takes from a few weeks to a few months for them to be regenerated as full lash growth cycle is different for each person. This also depends on the extent of damage to the follicle. If you’re pulling out your eyelashes repeatedly, or if any damage to your hair follicle exists, then the process of regrowing your lashes may take longer. And if your constant pulling in your eyelashes results in extreme follicle damage, then your eyelashes may not be able to grow back again. 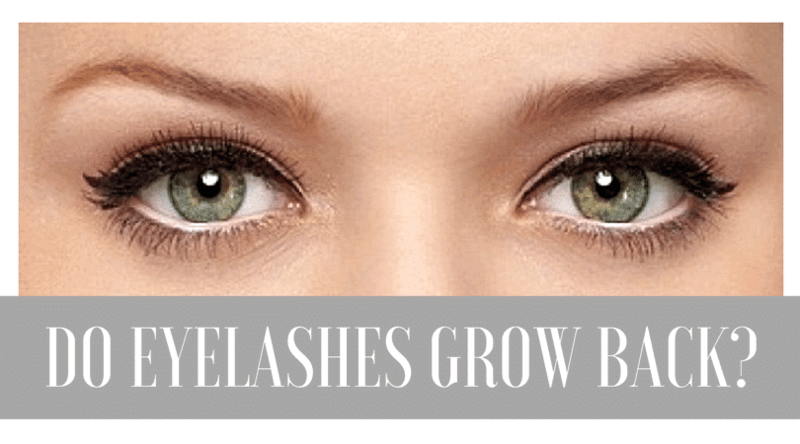 Click here for more﻿ info about the ﻿time ﻿it takes for lashes to grow back. Will eyelashes grow back if pulled out from the root? Yes. 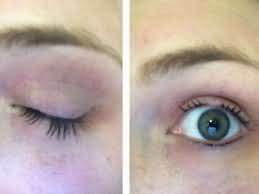 As mentioned, eyelash lost during the normal growth cycle, as well as those that have been pulled out will grow back again. However, it may take a while for them to be regenerated, usually a few weeks to months, especially when they are forcibly pulled out. Yes. There’s no need to worry if you accidentally cut a small length of your eyelashes as just what mentioned, they will absolutely grow back. Do eyelashes grow back if burnt? The answer maybe yes or no. Of course this depends on the extent of the burn. If only the eyelashes have been affected by the burn and the hair follicle remains unharmed, your eyelashes will absolutely regenerate. However, if the burn damages your hair follicles, then there’s a possibility that your eyelashes will not grow back. Whether you use lash extensions or not, your eyelashes will continue to shed off like normal, and will eventually grow back again. However, excessive use of poor quality adhesives and lash materials can result in long-term and permanent eyelash loss. Some eyelash extensions also contain harmful chemicals that damage the natural lashes as well as the follicles. These substances can also plug pores and follicles, as well as attract bacteria, which then lead to infection and hair loss. We recommend to only use eyelash extension during special occasions or holiday. Or if you really need to use them on a regular basis, make sure to use last treatment at night to restore the natural health of your eyelashes. It’s also best to have them applied by a professionally-trained eye technician. And don’t go for cheap products. The same is true for all other beauty products, including mascaras, creams, and lash treatments. How to speed up eyelashes growth and stop eyelash loss? Eat healthy. Good nutrition is great for your eyelash growth and overall health. Make sure to eat healthy, balanced diet in order to get all the necessary nutrients that your body needs to function properly. Fresh fruits and vegetables, such as oranges, avocados, and beans are packed with vitamins, minerals, and protein, which are all essential for hair growth. If you can’t get enough of these nutrients through your diet, then supplement your diet with multivitamins. Avoid the use of mascara and fake lashes. In some cases, the use of mascara, fake lashes, and other eye beauty products is the main culprit of eyelash loss. So try to avoid using them, or if you can’t avoid them completely, make sure to use them correctly. Also, only use the right product as poor-quality products may contain substances that can cause infection and skin allergies. Remove makeup before going to bed. It’s always advisable to remove any makeup before going to bed as they can block the pores and hair follicles, which can eventually stop hair growth. Just be careful when washing your face; make sure that you do not rub or pull your eyelashes. If you’re wearing makeup or mascara that are hard to remove, use a dab of mascara remover on a cotton ball to gently remove it. Use eyelash growth products. Using eyelash enhancers with safe ingredients can also help you grow back your eyelashes naturally. Talk with your doctor about this option and if which product is best for your condition. 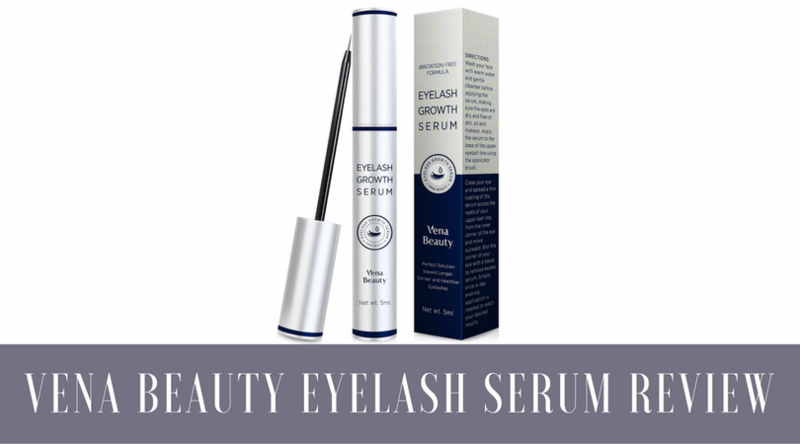 What's the best eyelash serum for safe eyelash growth in 2018? Since 1935, No7 has been bringing premium and affordable beauty products in the market with an objective to make the women feel good in their everyday lives. 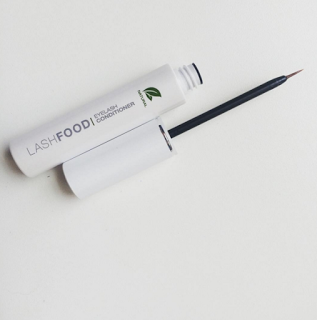 As per the company, a unique blend of ingredients has been used in their lash impact serum. They claim that it will make the lashes darker and thicker in just 8 weeks and can easily be used on the eyebrows as well. Such high claims have forced us to reassess whether this product can live up to its promises or not? Are all the ingredients truly allergy-free? Let’s find out in this detailed review. Affordable: Coming only at £16, this lash serum is affordable for women belonging to any class. Given the low price, one can easily think of using it on a regular basis. Noticeable Lashes: If you have significantly short or unnoticeable lashes, you will be able to see a change of volume in them. Hypoallergenic: The company claims that the ingredients are natural and organic so they don’t cause any allergic reaction. However, the reviews from the customers contradict this statement. Easily Available: The product is up for grabs on a number of online stores. Causes Irritation in the Eyes: Contrary to the claims, a number of customers have complained of irritation in the eyes after using this product. Runs Out Too Quickly: The low price comes with a low quantity too so you’ll be needing to purchase this product again and again. 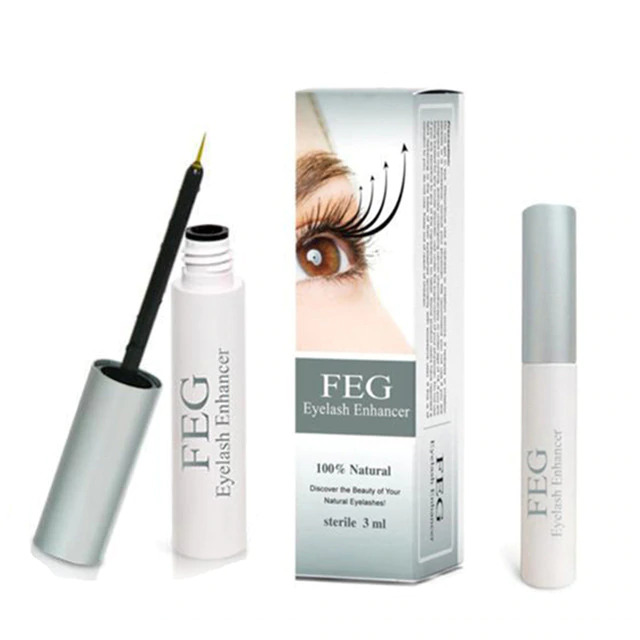 Application is Difficult: Usually, the eyelash serums are applied in a similar way as a liquid liner. The applicator brush is extremely thick and large in this case thus, making the application process a bit difficult. Not for Average Lashes: Visible results cannot be seen in average or longer lashes. According to The Beauty Pie blog, the serum wasn’t able to bring worthwhile results to the lashes of the blogger. The lashes might have become a bit darker or thicker but there was no change in their length. This is against the claims of the company as they say that one will see a considerable difference in the overall look of the lashes. Karen Rene from the KarenRene Beauty Channel on YouTube tried the product for 7 weeks but didn’t find the results to be satisfying. All she was able to achieve was the recovery of her damaged eyelashes due to regular curling. Moreover, the application is difficult since there are chances of applying excessive liquid because of the thick brush. Her verdict about this product wasn’t positive as she found more cons than pros. The application of this product is relatively easy. All you need to do is to apply it along the lash line just like an eyeliner. 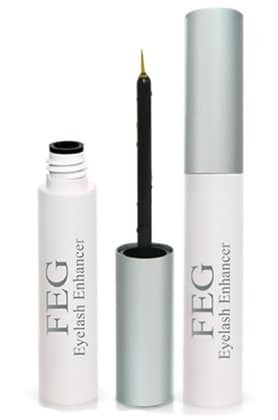 It can be used on the eyebrows as well by simply applying it on the brow hair. Since the brush of this product is thicker, you would need to observe extra care while doing so. Be very careful to avoid the eyes while applying because it can cause severe irritation. The product can prove to be a very weak choice if you happen to suffer from any of its side-effects. As the brush of this eyelash serum is thick, there are high chances that it might enter your eye accidentally and cause them to sting badly. Also, be very careful with the quantity of the liquid as too much of it will irritate your skin as well. The excessive application of the serum might also bring discoloration to your skin and this is a high possibility because of the huge applicator of this product. The only way out is careful and precise application through that unbelievably huge brush. Be very careful to immediately wipe away gently if any excess serum has been applied. Now, we will go over some of the essential ingredients of this product so that we know the reason behind the change in volume. A very commonly used ingredient, it acts as a buffering agent and a corrosion inhibitor. It is a vitamin which is blended with glucose and acts as an antioxidant. Its main purpose is to brighten the skin and make the eyelashes smoother. Retinyl Palmitate acts as a strengthening agent and will give your damaged lashes a new and improved look. It will help in restoring the skin and make your lash hair healthier. Reducing the risk for hair fall, this ingredient boosts the hair growth and improves the diameter of a strand. 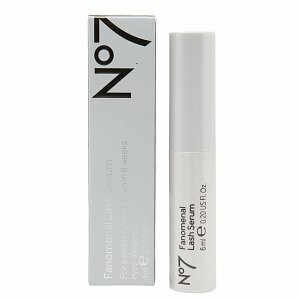 The major purpose of this ingredient in No7 lash serum is to give volume to the lashes. This ingredient will go deep into your lashes and will work to bring back the keratin. It is also responsible for the reduced breakage and splitting of the lash hair. It helps in giving the serum antimicrobial properties and acts as a non-toxic and non-irritant. Your lashes will also get nice consistency because of it. Other than these essential ingredients, it also contains water, glycerin, glutamic acid, betaine, phenoxyethanol, xanthan gum, sodium PCA, sorbitol, panthenol, tocopheryl acetate, arginine, glycine, serine, methylparaben, lysine, glutamic acid, alanine, proline, sorbic acid, tetrapeptide-21, threonine, biotinoyl tripeptide-1, propylparaben. 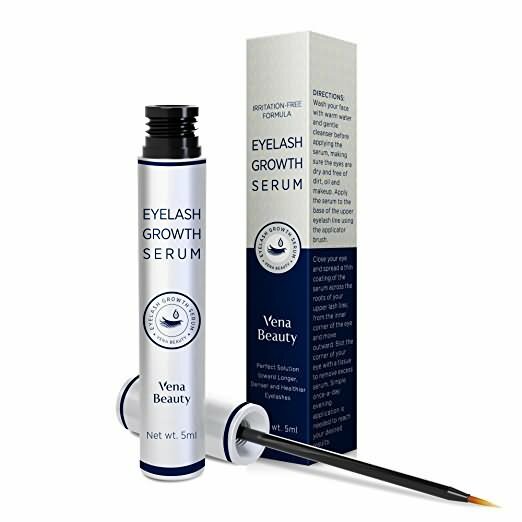 Originally, this serum has been designed for eyelash growth, however, it tends to show better results on eyebrows comparatively. Instead of getting longer lashes, it is easier get thicker eyebrows. There are plenty of positive reviews regarding the volume and darkness of the eyelashes but none about the length. 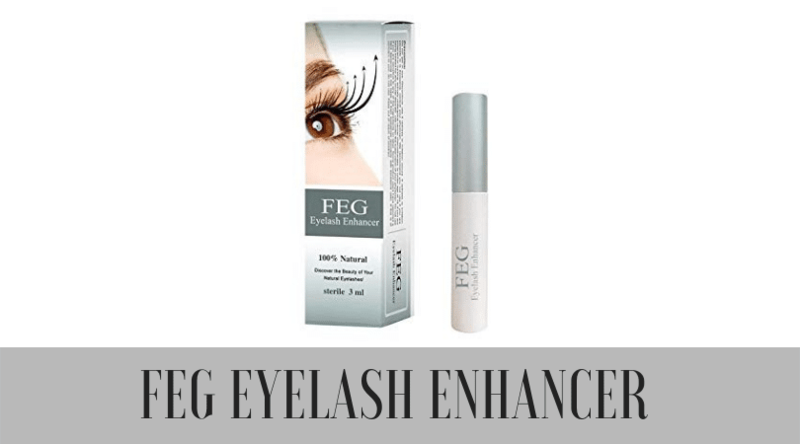 Even after continuous use of 8 weeks, the length of the lashes remains the same but it can help in repairing the lash damage caused by any reason. If you continue using this product, you will be able to guarantee that it has made your lashes better than they were some two years ago. Stop the use of this product and you will see them returning to what they used to be. So, Can You Expect Wondrous Changes from It? “The unique blend of ingredients” doesn’t do much for the length of your lashes but yes, it has the ability to provide volume to them. Unfortunately, even after 8 weeks of continuous use, you will not be able to see the drastic change which was your utmost wish. However, it will be able to fix a few things here and there but that won’t be enough to get lengthy and voluminous lashes. Another alarming setback is the side effects of this product that can directly affect your health. A little bit of the liquid in your eyes and you’ll be left with an unwanted stingy sensation. The same can happen to your skin too if you have applied an excessive amount of liquid. This is quite a possibility given the humongous size of the applicator. 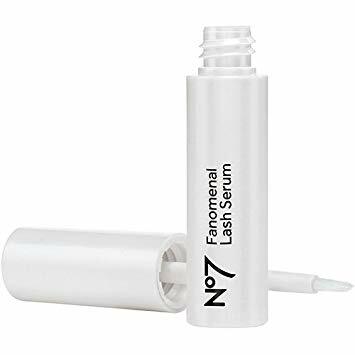 Think twice before choosing the No7 Lash Impact Serum, especially because there are better and more economical options available in the market. 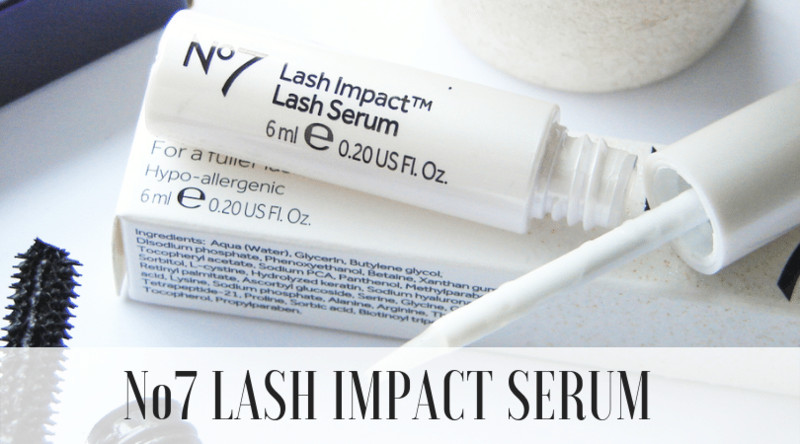 What's better than No7 Lash Impact Serum? Rapilash is currently one of those products promoted as a great alternative for Lattise, which is very costly and only available by prescription. The product requires no prescription and it only costs around $30-$50 per 3ml tube, depending on the retailer. And if applied correctly, one container could last for up to 1-2 months. Applied like a liquid eyeliner, RapidLash has quickly gained attention when the company launched the product on the market. In fact, just two years after its launch, over a million of RapidLash units have been sold. 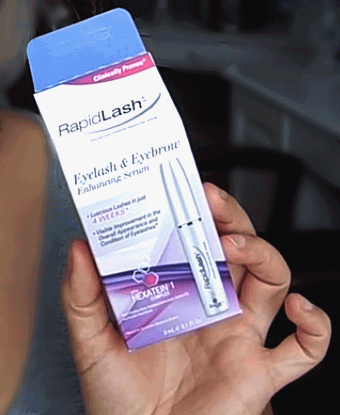 To date, over 3 million RapidLash tubes have already been sold worldwide and still counting. 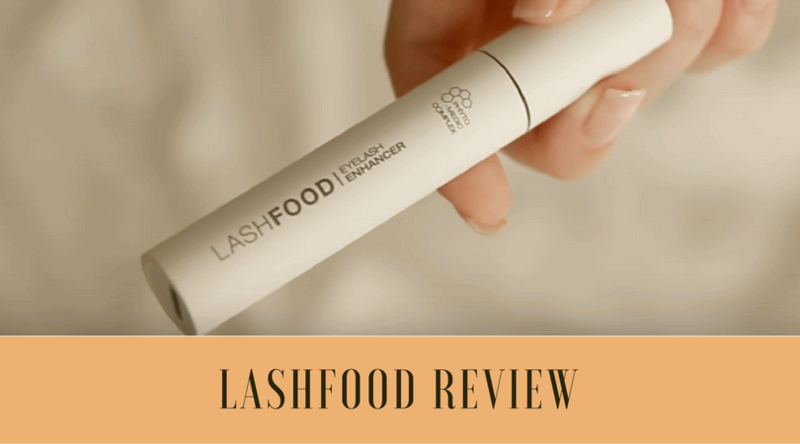 Judging from the reviews that have been posted on forums, review sites, and online shops like Amazon, RapidLash is proving to be a cost-effective product for getting longer, fuller, and younger-looking eyelashes. But just like any other cosmetics, this product doesn’t come risk-free. 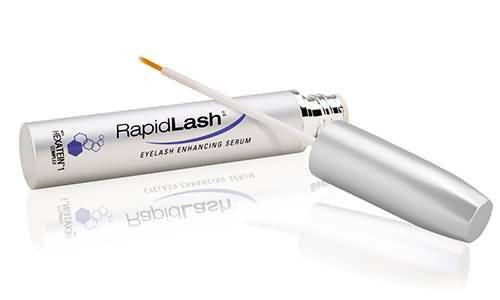 Some women who have tried RapidLash have reported eye irritation as a result of using the product. Some users experienced mild tingling with eye redness. But this is most probably due to the improper use of the product. If you use too much of it or you apply it the wrong way, accidental contact with the eyes can occur, which then results in irritation. It’s essential to follow directions carefully to avoid any irritation. And if some of the product accidentally enter into your eyes, rinse immediately with water. See your doctor if irritation/redness persists. RapidLash users have also reported some skin darkening around the eyes after using the product. But this is also most probably due to the excess product that is touching the skin during application. Although this might only be a temporary side effect, some users are not happy with it. Always apply the serum carefully. Make sure you only apply it to your lash line and don’t allow it to get into your eyes or onto your skin. RapidLash is also intended for once-a-day only application. The previous formula of RapidLash contained isopropyl cloprostenate, a synthetic prostaglandin analog, which is in the same class of compounds as bimatoprost. Bimatoprost is the active ingredient in Latisse, which was found to be the cause of most side effects associated with the product. 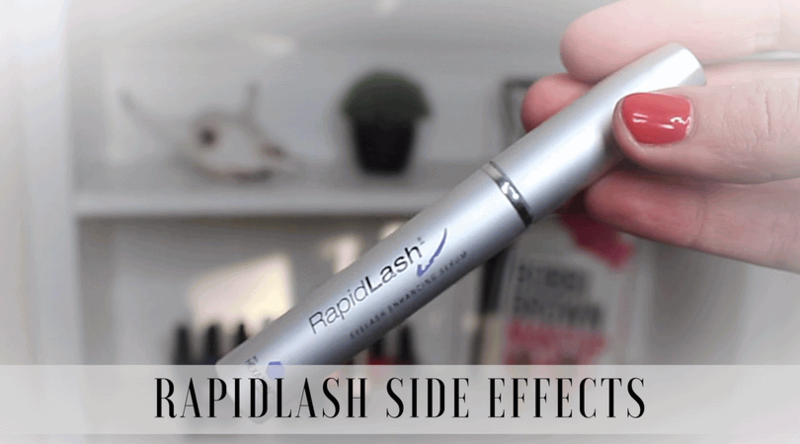 And given that the previous formula of RapidLash worked similarly to Latisse, it was possible that RapidLash could also cause same side effects as Latisse, such as eye discoloration and blurry vision. Although there hasn’t been any issue yet reported regarding this, many women are still worried about getting them. 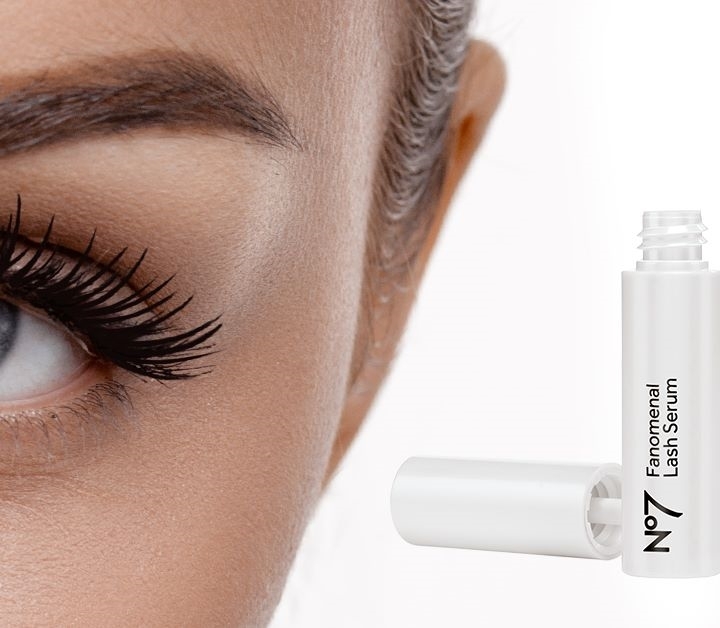 The current formulation of RapidLash replaced the isopropyl cloprostenate with some plant extracts, amino acids, and peptides, which are said to be safer and effective in promoting eyelash growth. However, it’s still best to be well-informed and use this product cautiously. 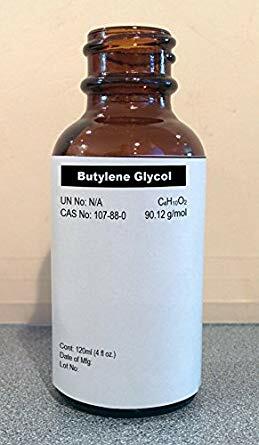 Water, Butylene Glycol, Hydroxyethylcellulose, Glycerin, Myristoyl Pentapeptide-17, Rhizobian Gum, Sodium Hyaluronate, Biotin, Panthenol, Pantethine, Hydrolyzed Glycosaminoglycans, Allantoin, Cucurbita Pepo (Pumpkin) Seed Extract, Maris Aqua/Sea Water, Dipotassium Glycyrrhizate, Octapeptide-2, Copper Tripeptide-1, sh-Polypeptide-1, Glycine Soja (Soybean) Oil, Black Sea Rod Oil, Phenoxyethanol, Chlorphenesin, Sorbic Acid. RapidLash may be an effective product for getting fuller and longer eyelashes and many women can prove that. But this doesn’t mean that the product is safe to use and effective to work for everyone. The RapidLash website only shows before and after photos and some positive testimonials from its users. Although the product is said to have gone through clinical testing, we haven’t found any article or clinical support about the use and results of RapidLash. 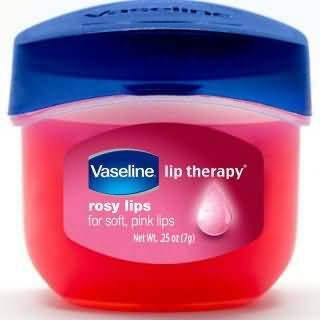 The website revealed that you may experience mild tingling upon application, but this should improve with continued use. It is advised, though, to discontinue the use of the product or consult with your doctor should any irritation persists. It’s important to weigh the risks against its benefits before you try this product, even if it’s almost $100 less cheap than other eyelash growth serums on the market. Best if you use it under the supervision of a qualified healthcare specialist for safety. 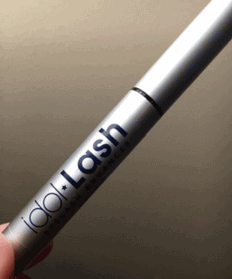 ​What's a Better Alternative to Rapid Lash? 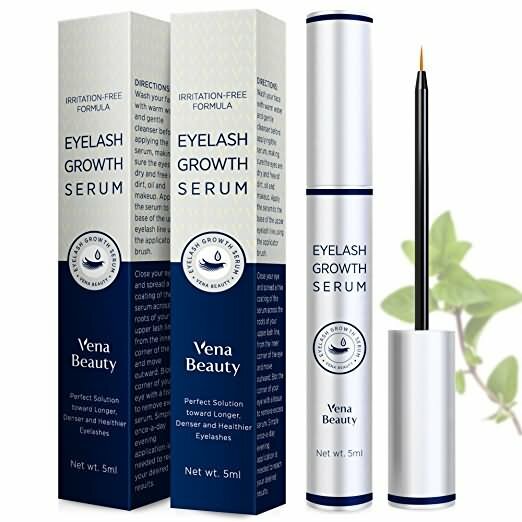 Eyebrow growth products such as eyebrow growth serums, eyebrow growth stimulators, or accelerators enhance the growth of hairs during the eyebrow growth process thereby increasing the length of the eyebrow growth phase. Even though it takes time for the eyebrows to grow back the results in the form of thick and bold eyebrows are visible after certain amount of time. Librow is an eyebrow growth stimulator or enhancer from the same stable that offered Lilash for eyelash regrowth. Right balance of vitamins, moisturizers, and proteins in this product strengthen and help eyebrow hair growth. You can see good result in just 3 to 4 weeks and end up with fuller, thicker, softer, and smoother eyebrows in 8 to 12 weeks. Talika eyebrow lipocils is botanically based eyebrow growth product that stimulates hair growth and restores the existing hair follicles to a healthier look. It provides definition, hold, and depth to the eyebrows. For the initial 28 days apply it on the brow and the skin twice before makeup both morning and evening and later on only once a day for a healthy growth of eyebrows. Eyebrow hair growth is tough ground to cover with lotions, potions, and cream. It has its own growth cycle to go through before reaching its destined length. However, there are certain things you can do to ensure good hair growth instead of just sitting and twiddling your thumbs. While awaiting eyebrow growth, a good eyebrow brush comes in handy. Brush your eyebrows regularly to give it a thicker appearance. Using an eyebrow growth stimulator is another alternative. Natural home remedies are the best bet when it comes to eyebrow hair growth. Castor oil or coconut oil can be applied to the eyebrows to see effective results within a month. Massage the eyebrows and the area around the eyebrows for five minutes before watching it off. 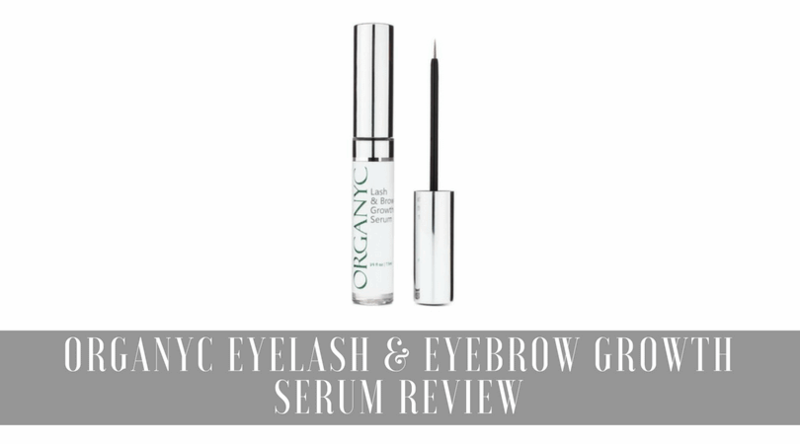 It nurtures the existing eyebrows and aids in promoting fuller and thicker eyebrow growth. Even climatic conditions play a role to a certain extent. Eyebrow hair growth is faster in winters than in summers. If your eyebrows have been plucked or waxed it takes a maximum of 64 days to grow back to its full capacity. You only have couple of days of leeway if you have shaved them before it grows back. On the other hand, if you have lost it due to illness or medication, it can take much longer for eyebrow growth to take place. To see which Eyelash & Eyebrow Growth Products have been rated highest by users and experts, keep reading below. Produced by Allergen (the same company who manufactures Botox), the prescription is used to treat hypotrichosis, a technical term for having too few eyelashes. As was reported by users of Latisse and by FDA Center for Drug Evaluation and Research﻿, there’s a possibility of allergic reactions to certain ingredients in the product. Though most of the side effects are reversible once the use of the product is discontinued, it is a cause for concern among several customers. The official website of Latisse provides extensive information on the product, its usage, and the probable side effects and how to treat them. The product priced at $120 is not very expensive in comparison with other products in the same category and is known to produce results albeit at a slow pace. The product takes a long time to work, as long as 4 months, to see any noticeable results. Once you stop applying Latisse, your lashes immediately go back their original state. Some doctors aren't yet familiar with the prescription. Eye Irritation: Because Latisse stimulates many of the nerves and vessels in the eye area, it is possible that the medication causes your body to react through red, itchy, or mild stinging of the eyelids. Doctor John P. Cunha states that the irritation is likely temporary. However, if the irritation persists or causes very sharp pain, you should stop taking the drops right away. Along with hives, difficulty breathing, and trouble seeing, sharp irritation can be a sign of an allergic reaction. If you suspect this to be the case, call your doctor right away. Swelling: Puffy eyelids and swollen regions beside the eye can also occur. This usually happens when the patient is first taking Latisse, as the body is trying to grow accustomed to the medication. If there is discharge or oozing, your eye fluids may be imbalanced or rejecting the medication. Extra Hair Growth: The chemicals in Latisse target hair producing factors to grow eyelashes longer and fuller. When the drops miss the intended area, or make their way to the surrounding eye structures, it may cause unintended hair growth on places besides the eyelashes. Carefully applying the drops is your best defense against this occurring. Dry/Watery Eyes: Since Latisse is also used to treat glaucoma, the strong medicine may interact with tear production, either overstimulating it or causing it to underperform. Liz Serge of AllAboutVision suggests talking to an ophthalmologist beforehand regarding your current tear production and how any pre-existing conditions like dry eye may be worsened by using Latisse. Bimatoprost, the active ingredient in Latisse, is what makes eyelashes grow longer and thicker. The exact mechanism of how it works is currently unknown. 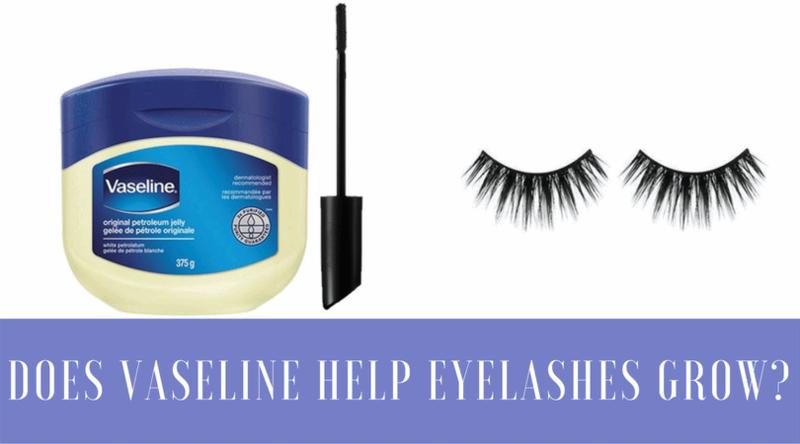 But according to the product’s official website, Latisse is believed to affect the anagen phase of the eyelash hair cycle. Anagen phase is the stage when the hair follicle is active, resulting in hair growth. The length of anagen phase varies from person to person. People with longer anagen phases can grow their hair longer, while people with shorter anagen cycle cannot. It is believed that bimatoprost extends the length of the eyelashes’ anagen phase, resulting in longer and thicker lashes. 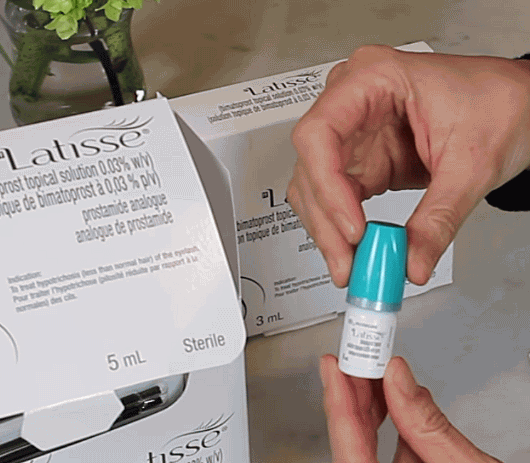 Latisse comes with a whopping price tag at $120 per kit. But this kit already includes 1 bottle of Latisse solution and 30 pairs of applicators. If applied correctly, one set can last about 6-8 weeks. The price may also vary in other pharmacies, and some doctors offer discounts for bulk purchases. Ask your doctor whether she or he offers any additional discounts. There are also local events or programs that offer special promotions and discounts, so be sure to check them out. Latisse is not a cosmetic product. It’s considered a drug, and currently only available by prescription from a doctor unlike serums such as Rodan and Fields Lash Boost. Just keep in mind that not all doctors may be familiar with Latisse. However, most eye doctors, dermatologists, and cosmetic surgeons are aware about the product. and the slow countdown to see expected results makes one wonder if its worth going through the hassle to find out whether the product works while there are better options available. Latisse is a treatment you apply to yourself each evening to get your desired eyelash thickness. But keep in mind that long, thick eyelashes don’t happen overnight. Once you begin the treatment, you must continue using the product to get the best results. It’s also important to strictly follow the instructions included in the package to avoid any adverse side effects. 1. Before applying, wash your face and remove any makeup and contact lenses. 2. Get the sterile applicator from the kit; then holding the applicator horizontally, place one drop of the solution on the applicator brush. 3. Carefully apply the solution along the skin at the base of the upper eyelashes. 4. After applying, blot off any excess solution with a cloth or tissue. 5. Use a new applicator and repeat the same process for the other eye. Throw the applicator away after one use to avoid any contamination and possible side effects. Use Latisse only as directed. Wash your hands before and after using the product. Make sure that your face is clean and your makeup is removed before you apply the solution. ​If you wear contact lenses, make sure to remove them before you apply the solution. You can place them back in the eye 15 minutes after use. ​Remove excess solution around your eye with clean, dry tissue or cloth. ​Always use the sterile, disposable applicator included in the kit, and only use one applicator per eye. Discard the applicator after a single use. ​Only apply on the upper lash line. The solution automatically spreads to your lower lash line as you blink so there’s no need to apply it on the lower lash line. ​Apply the solution carefully as excess hair growth may occur outside the treatment area. One drop of Latisse solution should only be applied once daily, in the evening, or as directed by your doctor. 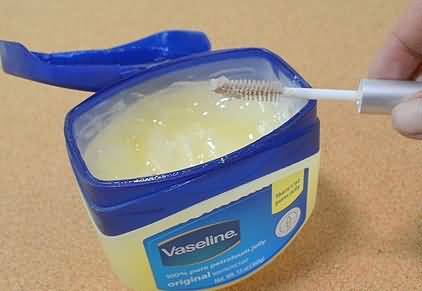 Using it more than once a day will not grow your eyelashes faster or increase the effectiveness of the treatment. ​If you miss an application, don’t apply more just to catch up. Just apply the same amount of Latisse solution the next evening and stay on your normal schedule. Don’t touch the tip of the bottle or applicator to avoid any contamination. Keep the bottle tightly closed. In this video, Nicole shared her personal experience in using the well-known eyelash treatment, Latisse. Just like other girls, Nicole wasn’t lucky enough to be born with natural thick eyelashes so she tried Latisse with the hope of success. And after using the product for a few months, she has noticed the difference in the length and thickness of her eyelashes; therefore, continue to use it until now. And now, she’s been using the treatment for a long time, and so far satisfied with the results. You can watch the full review here. In this video, Katie Prueher shared the details of her experience in using Latisse. She’s been using the product for over a year now, and so far satisfied with the results. For her, it took about three months before people noticed her beautiful eyelashes, but it was really 16 weeks for her to have the full eyelash growth potential. She also shared the side effects that she has experienced and her opinions about the product. And while this product worked very well for her, Katie doesn’t recommend it. According to her, Latisse is something that is NOT for everybody. You have to consider it seriously and make sure to get your eyes checked regularly when you decided to use the product. You can watch the full video here. Beauty guru, Angie from Hot&Flashy made a comparison video about the prescription product Latisse and product alternative RapidLash. She talked about how great the two products are when it comes to growing eyelashes. She also shared the disadvantages of the two products. Watch her full comparison video. 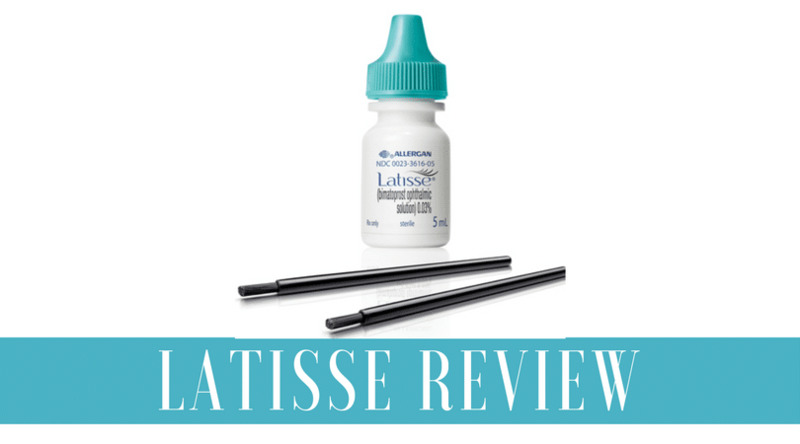 Katie Hill did a great review of the popular eyelash treatment, Latisse. In this video, she talked about the pros and cons of the product, and even shared before and after photos of her eyelashes to show how it really works. Katie found Latisse really effective for growing eyelashes and making them look fuller, so she definitely recommends the product for people who have sparse or inadequate amount of eyelashes. However, she cautions everybody to use it carefully as this product can cause side effects. In this video, Katie also shared some tips and tricks on how to use the product efficiently. Watch her full latisse review. 1. Where can I find Latisse coupon? Latisse offers can be found in most pharmacies and online coupon database. These offers can be in the form of printable coupons, free samples, or trial offers. You can check your nearest pharmacy or doctor for offers. You can also visit pharmaceutical websites and stores, or sign up to Brilliant Distinctions Program provided by the manufacturer of Latisse, where you can receive special offers and redeemable points. 2. Can I buy Latisse online? Yes, you can buy Latisse online, but you can’t be sure of its safety and authenticity. If you’re considering this approach, it’s important to check the credibility of the online seller and make sure that it’s reputable. However, since Latisse is a prescription drug and has potential side effects, it’s best to go directly to your doctor and use it only if it’s been prescribed for you. 3. What is Latisse generic brand name? 4. Can I use Latisse for eyebrows? Latisse has only been approved by the FDA for the upper eyelashes. Although some patients have seen good results after using this product on their eyebrows, it’s still not formally approved for this purpose and there have been no scientific studies carried out yet to determine the effectiveness of Latisse on eyebrows. Check with your doctor about this option. 5. Can I use Bimatoprost 0.03% instead of Latisse? Technically, yes, since bimatoprost is the active ingredient in Latisse. However, we would caution you against using 0.03% bimatoprost for growing your eyelashes as this solution is not approved for this purpose. 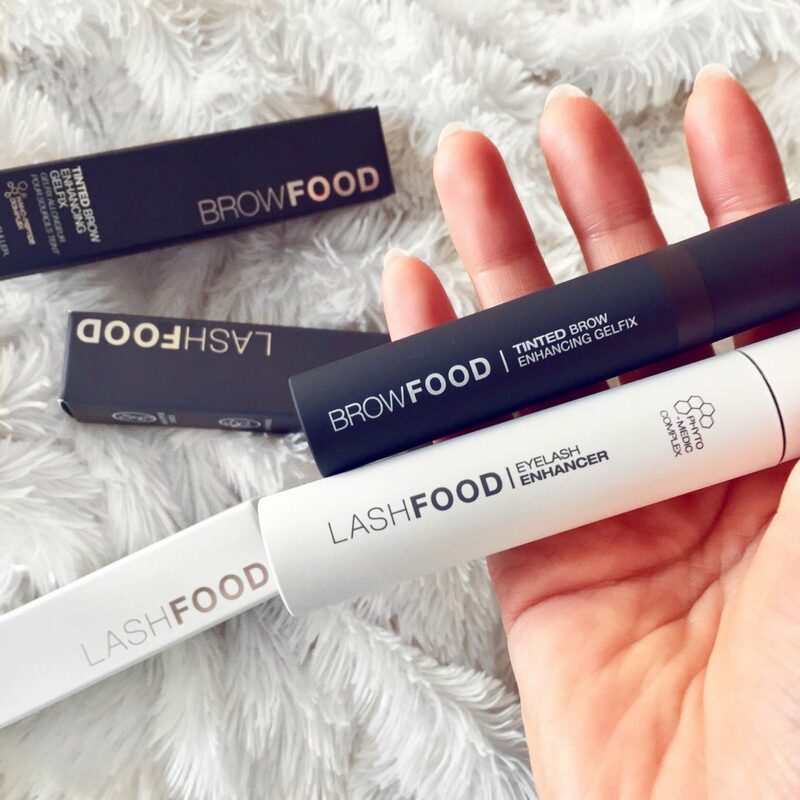 Although these two products are very similar, Latisse is by far the only FDA-approved and scientifically-proven treatment for hypotrichosis (inadequate amount of eyelashes). Also, Latisse comes with the correct applicators, making them safe to use. For your safety, see a certified doctor, buy the real Latisse and apply it correctly. 6. Can I use Lumigan instead of Latisse? Lumigan and Latisse are both made by the same company and contain the same medication. However, Lumigan is FDA-approved for the treatment of glaucoma while Latisse is for the treatment of hypotrichosis. Most doctors will not prescribe a drug for off-label use as it is against the FDA regulations. Remember that it is always safer to use a product for its purpose. 7. Can I use Careprost instead of Latisse? Latisse and Careprost contain the same active ingredient, which is 0.03% bimatoprost ophthalmic solution. However, Latisse is the only FDA-approved and scientifically-proven treatment for the growth of eyelashes. While many customers have experienced good results after using Careprost, the results are still not guaranteed. 8. 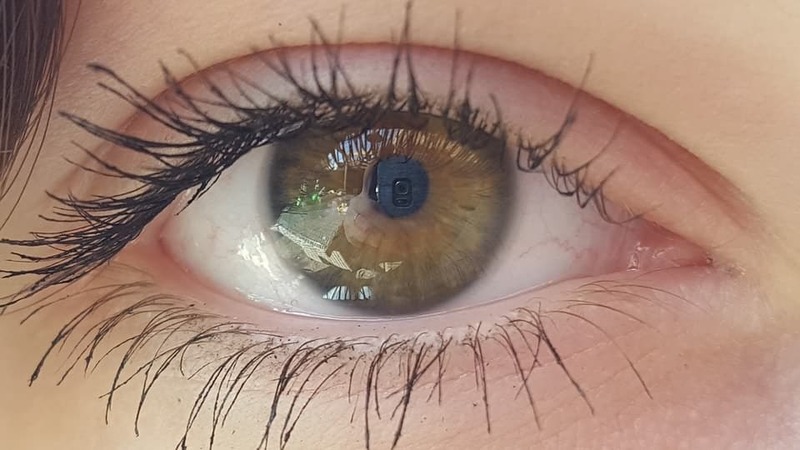 Will Latisse change my blue eye color? Latisse drops may change the color of your eyes to brown, which is likely to be permanent. But this is a rare case. It’s important to talk with your doctor prior to using the product for the correct and complete application instructions. If you notice changes in the color of your eye, call your doctor as soon as possible. 9. What is Latisse price at Costco?